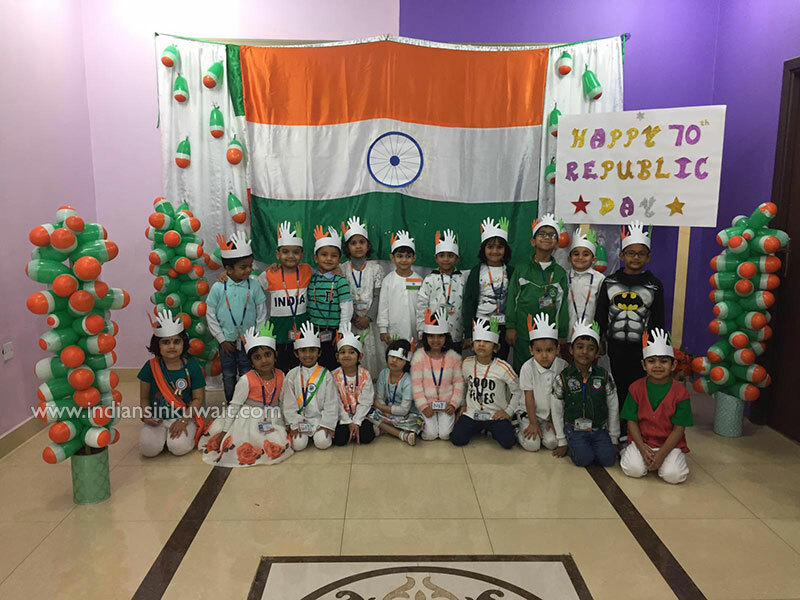 KIPS celebrated 70th Republic Day of India with great enthusiasm and elation. The celebration of the day commenced with unfurling of flag by India International School Director Mr.Malayil Moosa Koya escorted by Principal Mrs.Nilofar Qazi and the Vice Principal Mrs.Gayathri Bhaskaran on this very special and solemn occasion. Students presented patriotic songs and poems emphasizing the sanctity of the day. 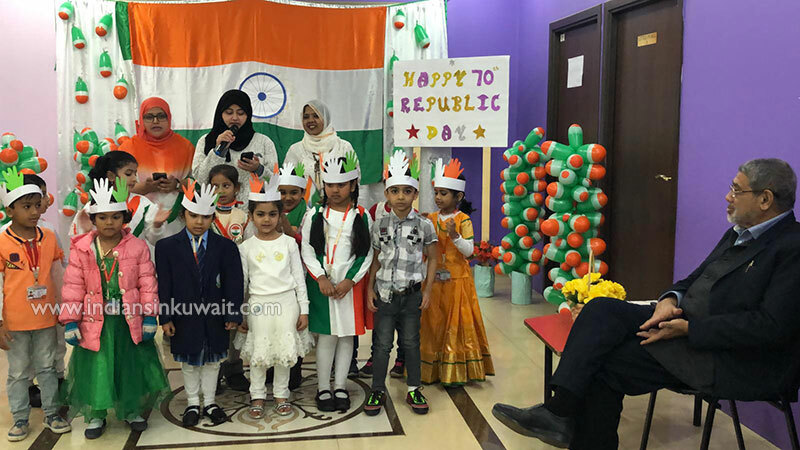 The pre-school premise was decorated with tri-colour. The patriotic fervor was intact among the students as the children of Little Pearl and Unique Star danced to the tunes of patriotic songs and even wore tri-colored clothes to mark the occasion. The School Director of IISM in his address highlighted the significance of the day and made the children aware that the future of their country lies in their hands. Hence, they need to study well now and inculcate good values in life, which will help them to be good citizen of the country.